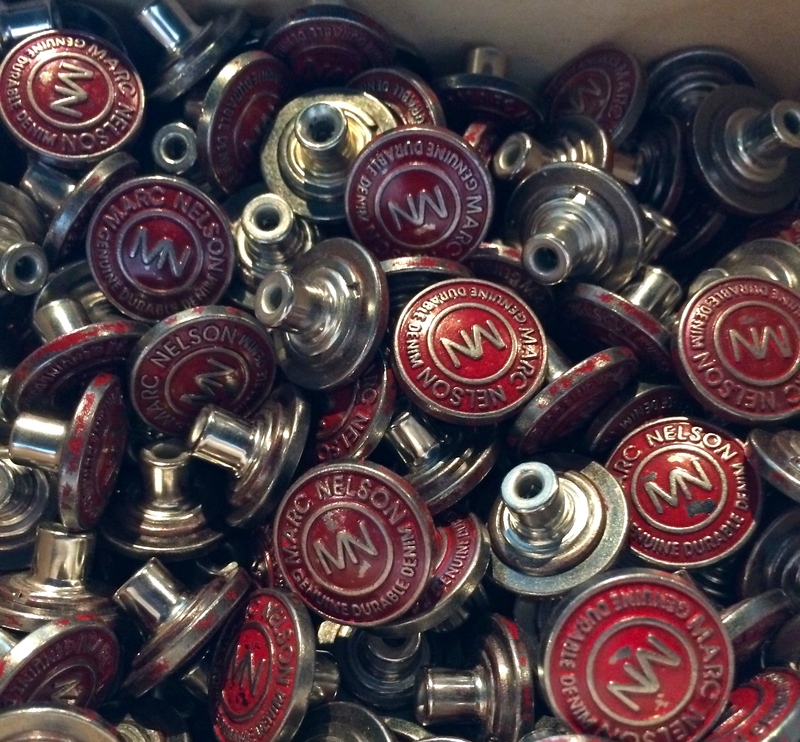 Born, raised, made in Knoxville: Marc Nelson Denim | Oh, the Places We See . 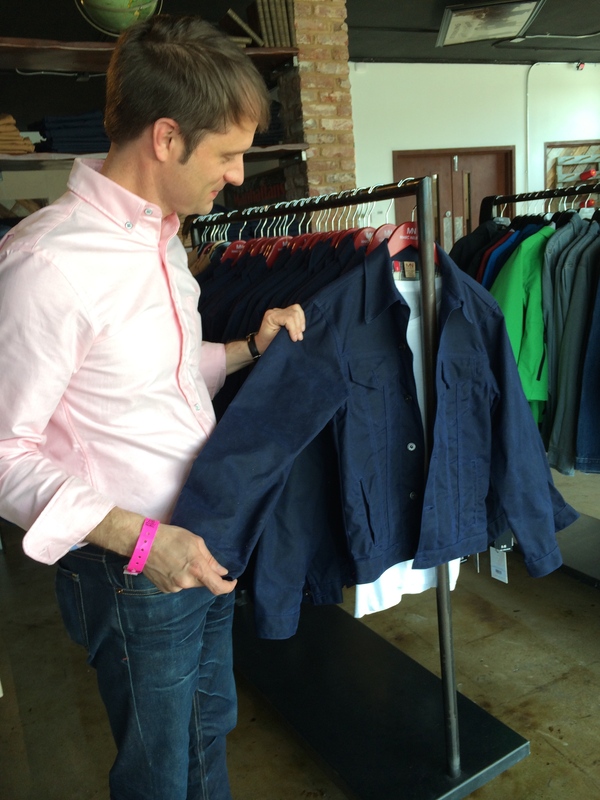 . .
Dogwood Art DeTour 2015 took us a lot of places from the open studios of Diana Dee, Melanie Wood, and Shannon Davis to the heart of Knoxville on E. Depot Avenue for the art of manufacturing at Marc Nelson Denim. Oh, sure. 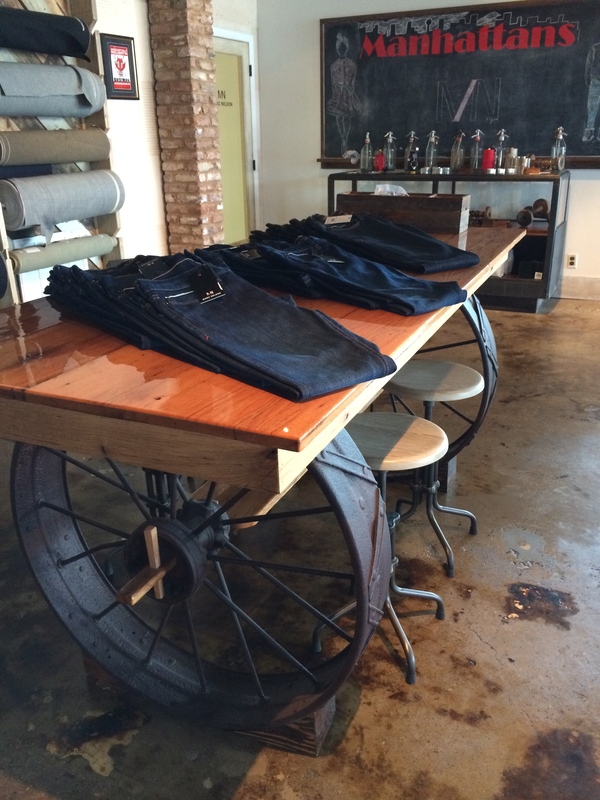 We’d seen the ads of a handsome couple sporting whiskey-stained denim, but never knew the story — or even the location — of denim jeans causing a buzz in the fashion world. Andy explained that denim starts out white and then takes on the colors given to it — like the indigo blue we’re all familiar with. Or orange, if you live in Big Orange Country! 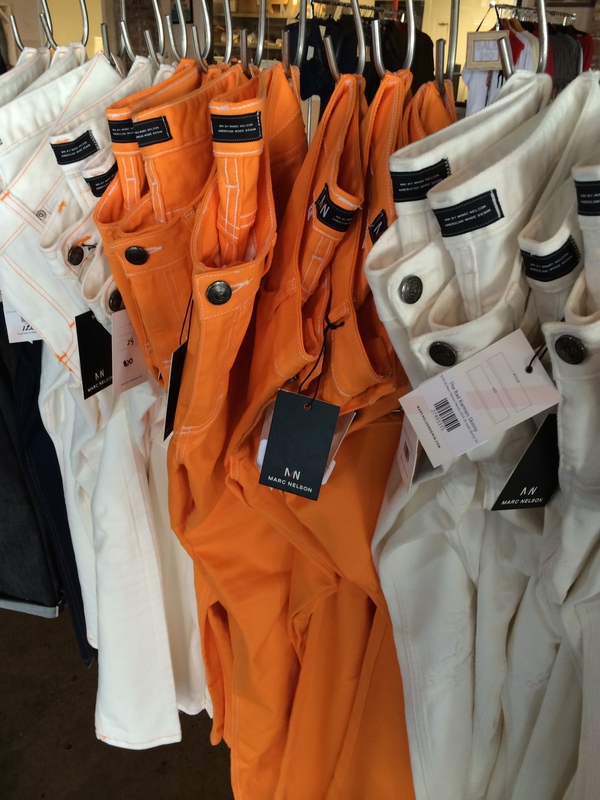 Go, Big Orange — and white, and tan, and indigo . .
Marc Nelson Denim jeans can be bought from racks or customized to a specific fit and size. But you need to wear them. A lot. Or that’s what Andy told us: They take on your shape and become part of you. That’s why Andy — and the instructions on their denimology fact sheet on the website — recommend not washing them — well, for at least for six months. Surprised? We were. But now it kinda makes sense. Wear ’em for six months so they conform to you! The newest for Marc Nelson? The color of whiskey. Andy again: That’s right. We put whiskey in the wash with the denim. And this is the color we get. 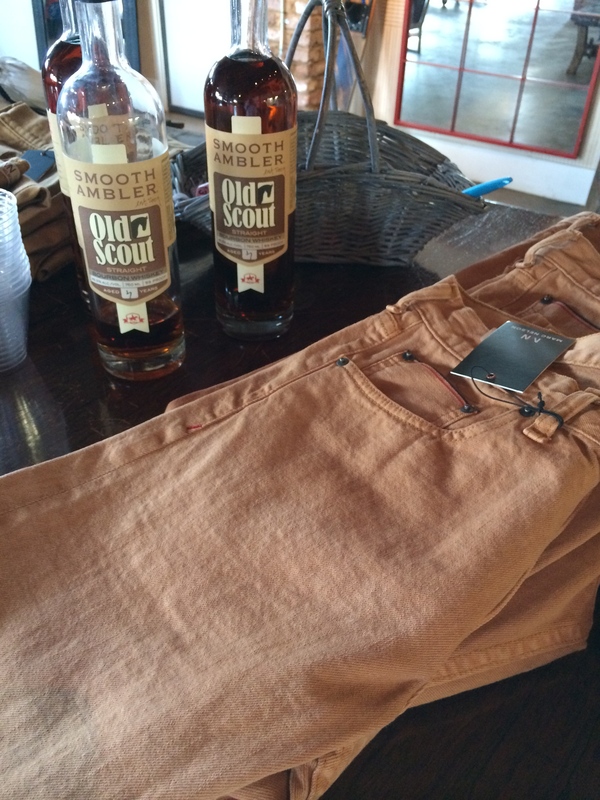 They felt softer to us: whiskey-steeped jeans! 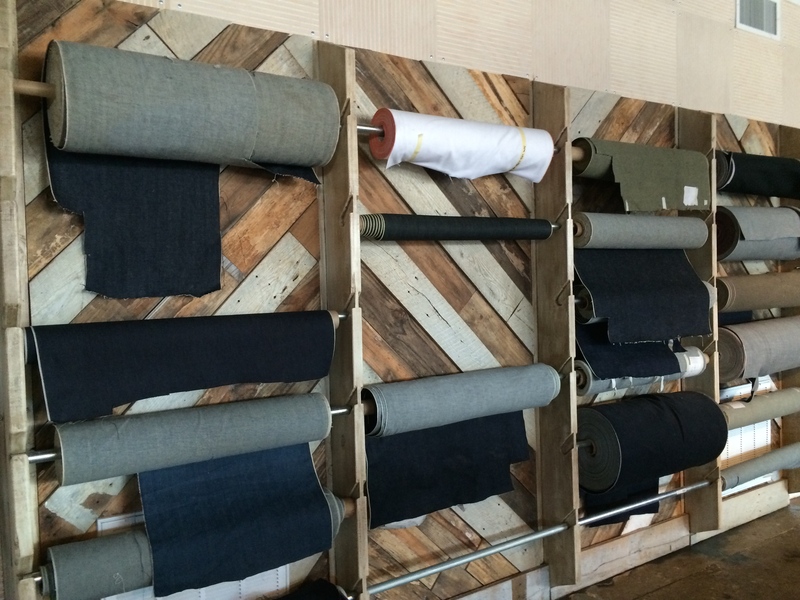 Housed in an industrial district, the Marc Nelson Denim showroom is urban all the way –from displays on rough-hewn wood panels to tables who had a past life in a manufacturing setting. Love the wheels on this table and concrete floor! 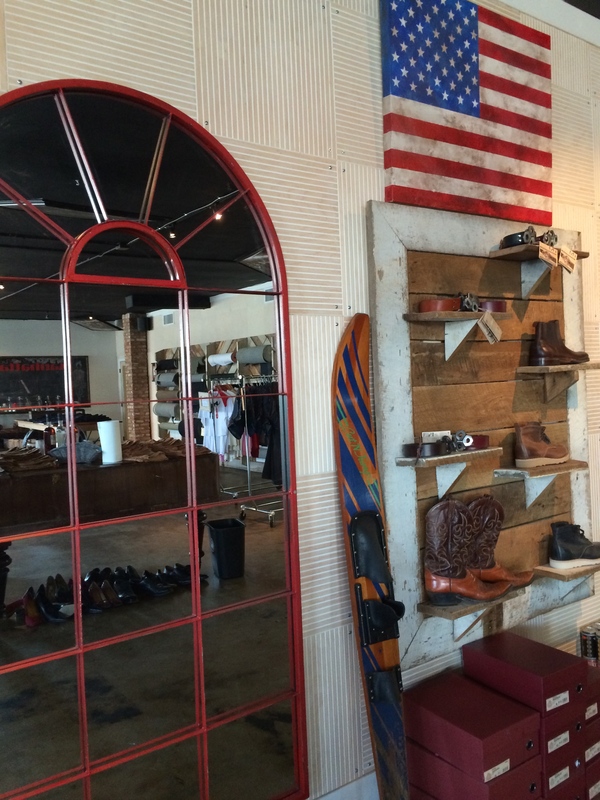 Accessories like Wolverine boots on sale at Marc Nelson Denim. 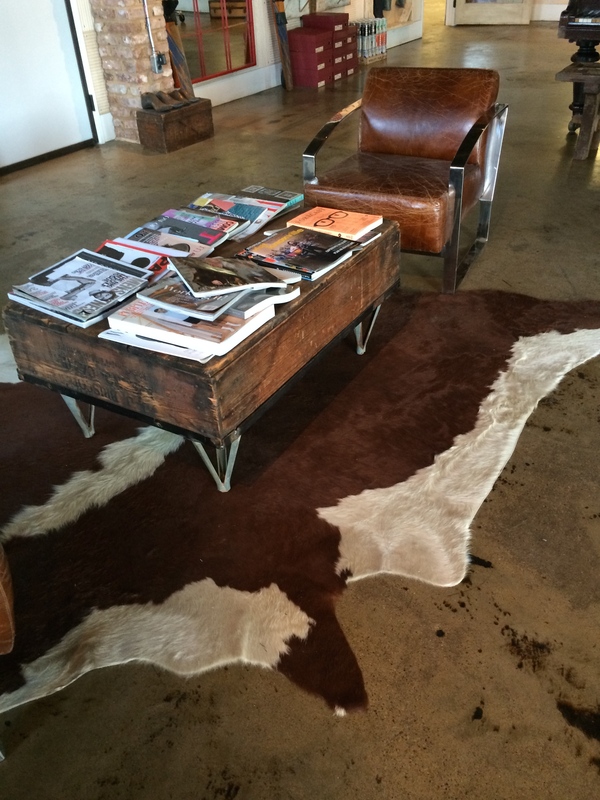 Animal-skin rug, industrial table: Marc Nelson Denim showroom. 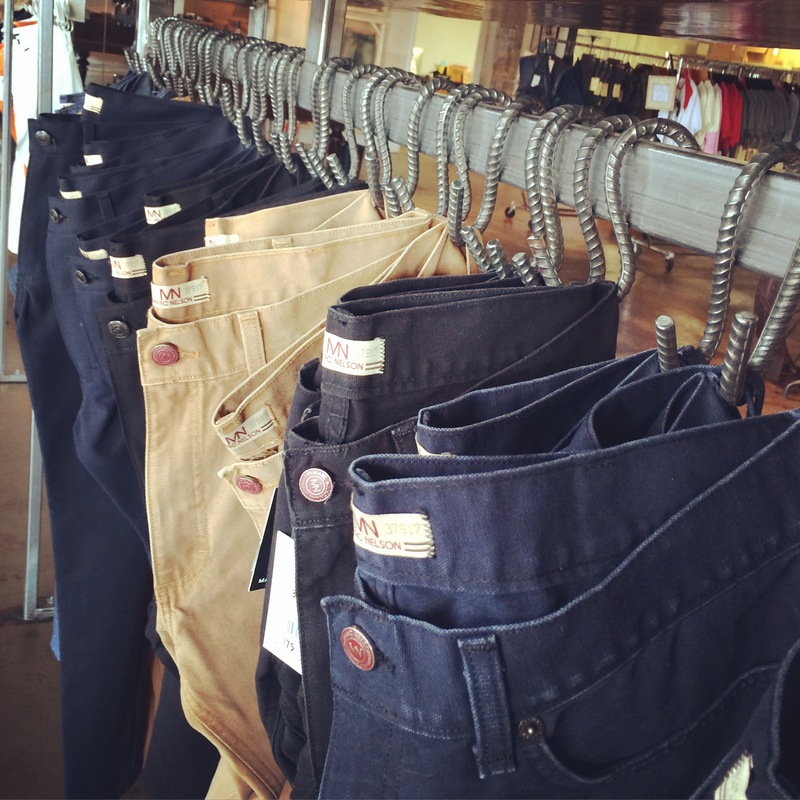 We wouldn’t have necessarily thought of Marc Nelson Denim being a favorite stop on an art tour. But with the story, the craftsmanship, the unique quality of the garments — well, why not? This IS art. 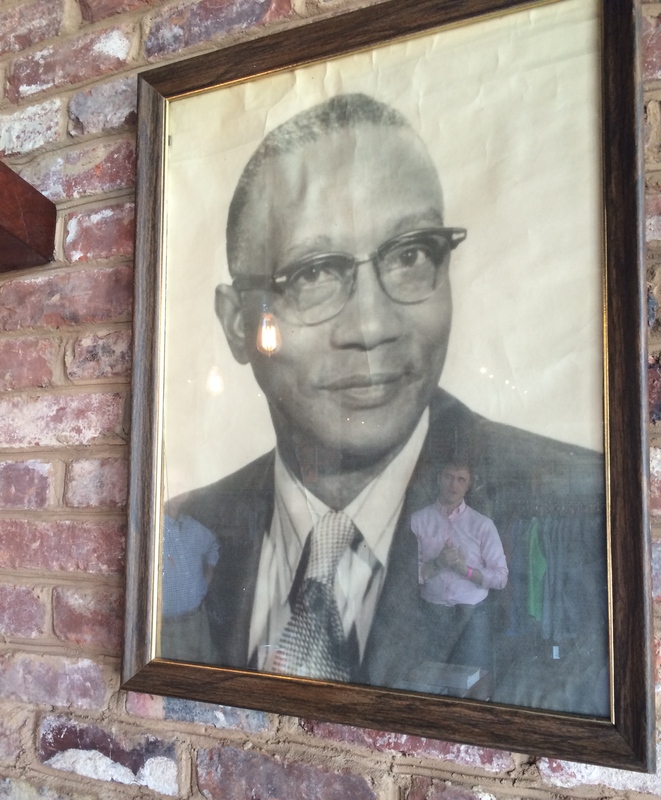 And, thankfully, it’s right here in Knoxville. 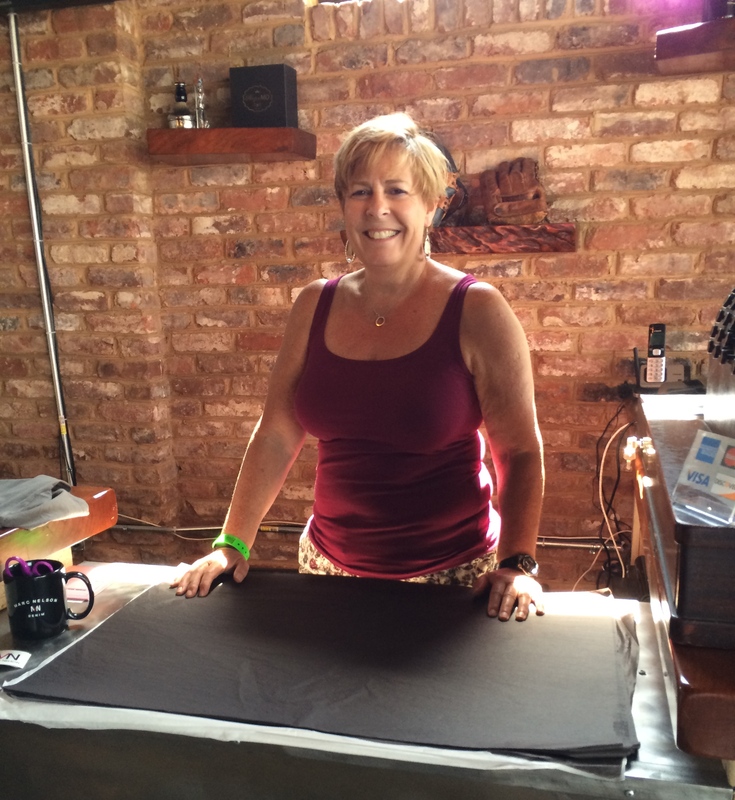 For more posts on the Dogwood Arts Festival 2015, click here. This entry was posted in Retail Shops, Tennessee, Travel and tagged denim, Dogwood Art DeTour 2015, Dogwood Arts Festival 2015, jeans, L. C. Nelson, Marc Hall, Marc Nelson Denim, urban decor. Bookmark the permalink. Sherri, so sorry you’re having problems with other comments coming your way. I don’t know how to change something you’ve clicked, but here’s what I’ll try. I’ll remove your comment from the list. If you want to put another one on, you can. Just don’t click “Notify me” when other comments are posted. Thanks for visiting our blog. small business Vo – IP services will help your company save money. if you write honest and detailed reviews about them. Thanks so much for the comment. 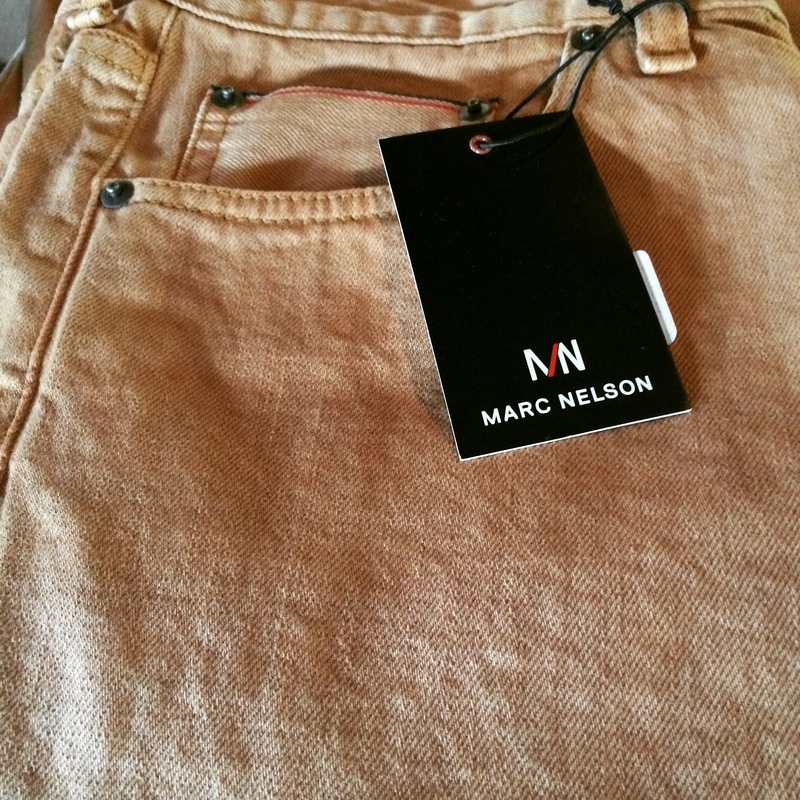 The folks at Marc Nelson Denim also recommend that you get in the shower wearing your new jeans so the jeans will conform to your body. I’d never heard of that, but it sounds doable. It’s funny you said you might not ever wear these. I asked Andy (in the post) if there were any plans to produce jeans for Boomer women. He said they were coming. So, who knows? Every body. Every price range. It could happen!